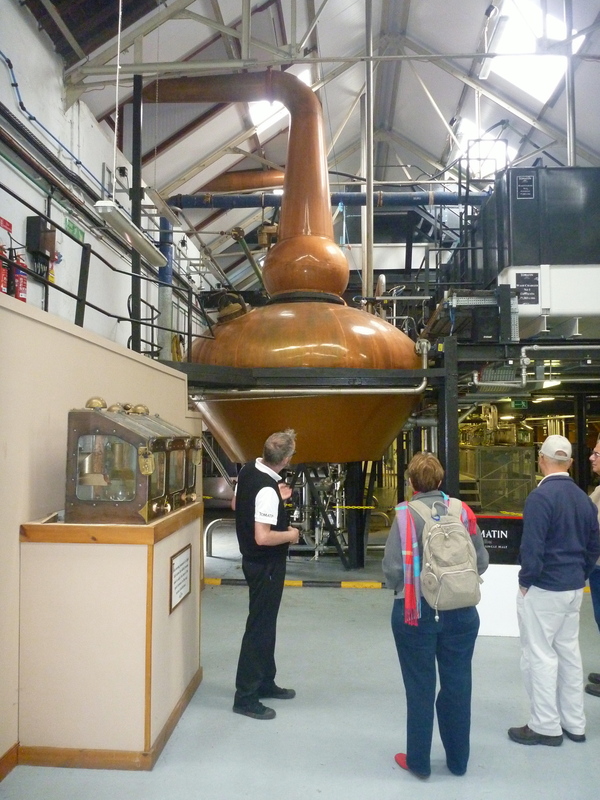 Located in the Northern Highlands of Scotland, the Tomatin Distillery was our third distillery visit on our 9-day whisky tasting tour of Scotland. 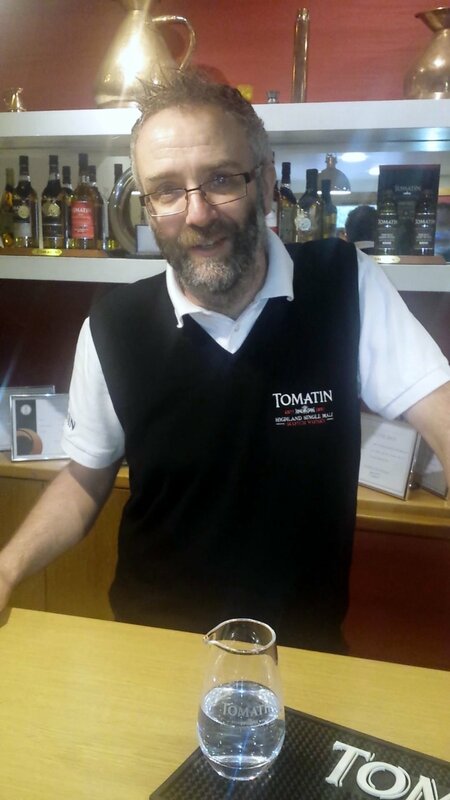 Reservations were for the Taste of Tomatin Tour. 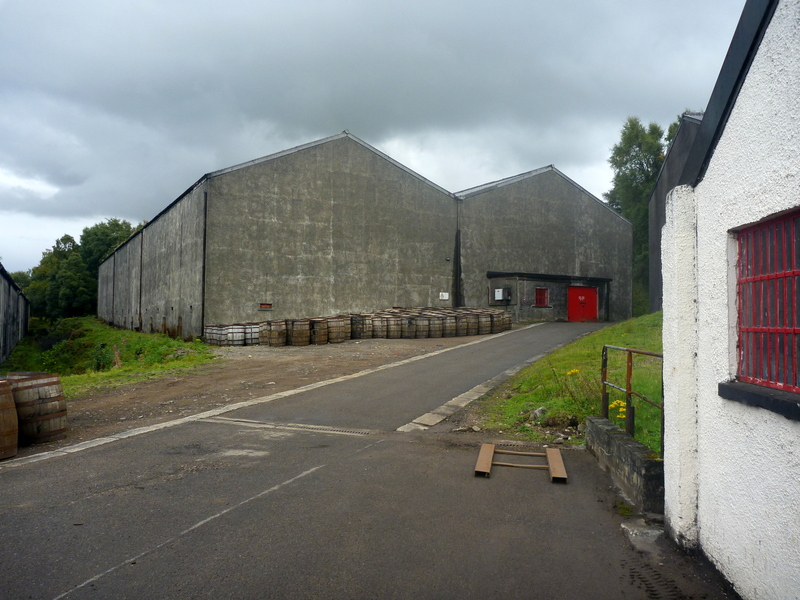 The distillery is approximately 20 miles south of Inverness and is set in a good location on the Alt na Frith, which is a water source that means ‘free burn’. Founded in 1897, Tomatin is named after the Gaelic word for the Hill of Juniper Bush. There are currently 30 families that work at the distillery. 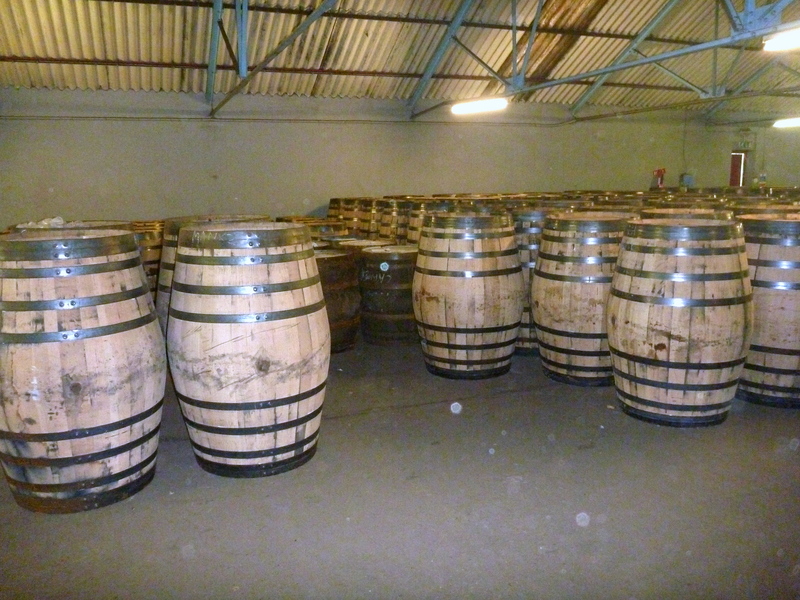 In the 1970s, Tomatin saw its largest growth with the addition of 6 new pairs of stills totalling 23 in all. At this time they were producing 12.5 million liters of spirit a year. 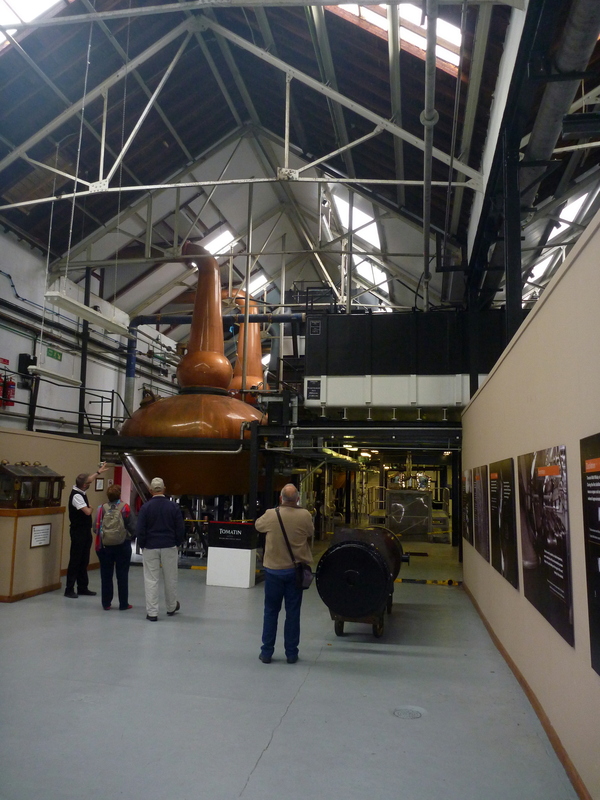 They were the largest distillery in Scotland. During the tough times of the Scotch whisky industry in the 1980s, Tomatin was forced into liquidation in 1984 and was purchased by a Japanese company in 1986. 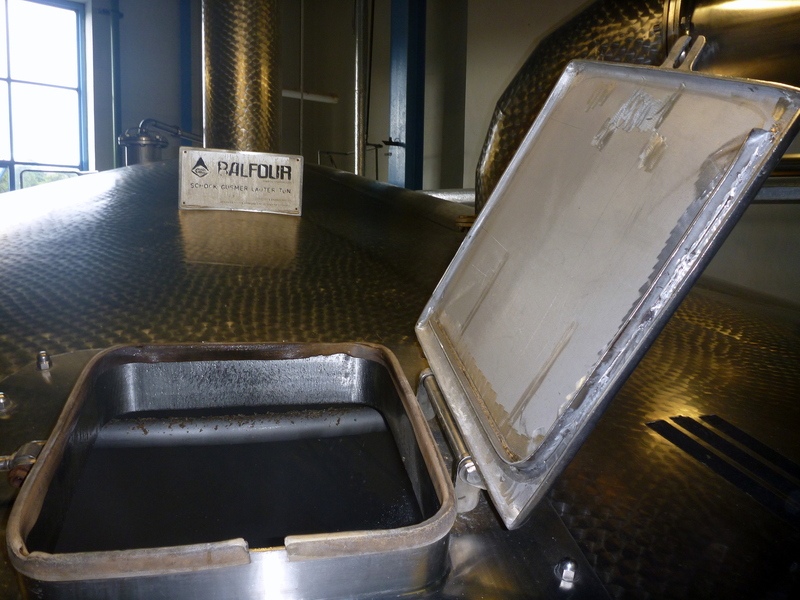 The current production is circa 2 to 3 million liters of spirit a year. Tomatin gets its malted barley from Berwick-upon-Tweed which is southeast of Edinburgh on the coast of the North Sea. 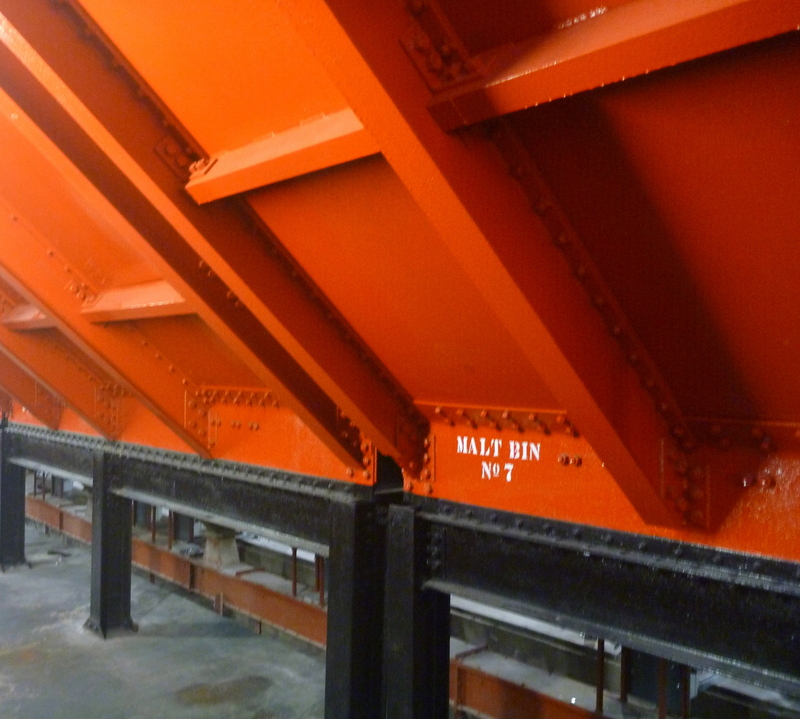 They work with 120 tons a week and 8 tons per batch. The grinding of the barley takes about 1 1/2 hours. The production cycle runs from Sunday to Friday where they do three mashes producing 45,000 liters of wort using three temperatures of 60, 70 and 90 degrees. We were actually able to walk into a mash tun (which was a first) and it was quite impressive to see the blades on the bottom and the size from within. 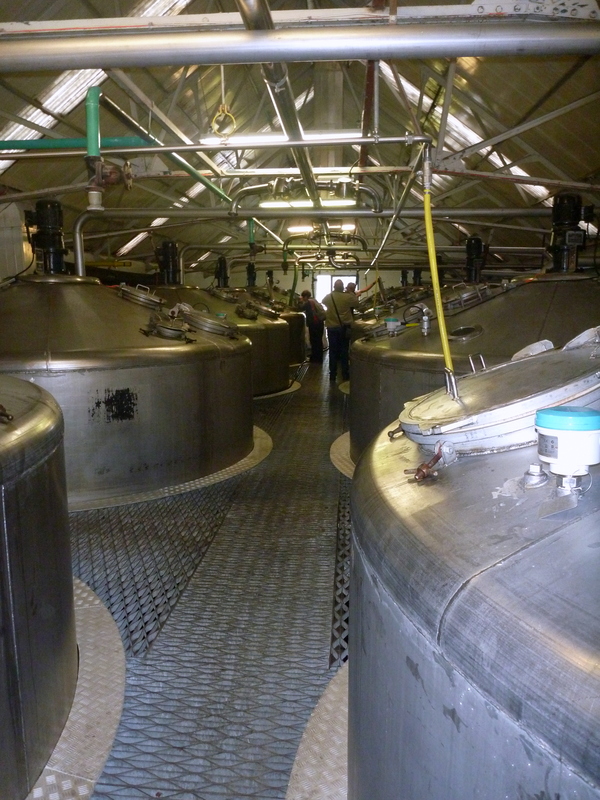 12 washbacks are located on the site where fermentation takes approximately 56 hours. During the distillation process, the heart run lasts about 4-5 hours. The stillman swings a rope to hit the still to listen to what is going on. 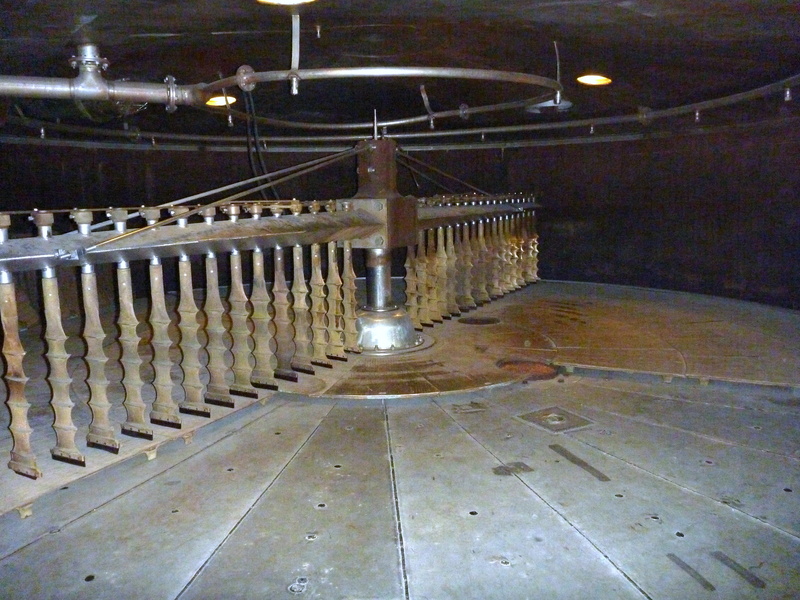 Depending on the sound that the still makes, the stillman is able to adjust or even repair if necessary. This was something that we did not see at most distilleries and it takes a good amount of skill and experience. The spirit is then put into the barrel at 63.5% alcohol. 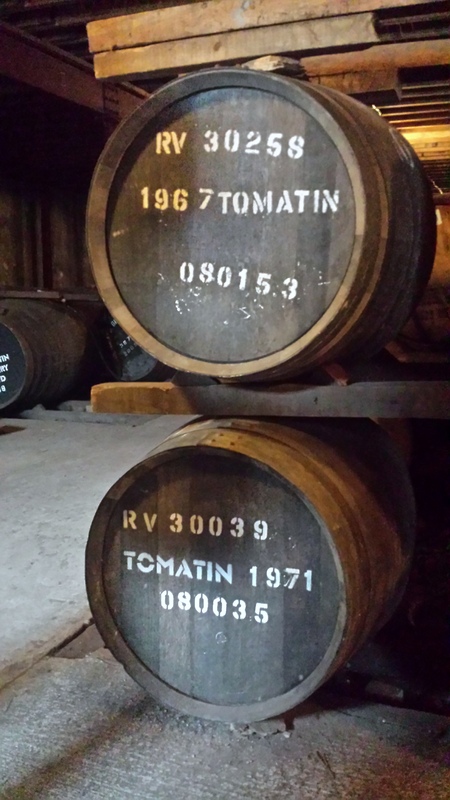 At the Tomatin distillery, they store 180,000 casks on site. They do have an on-site cooper that repairs barrels. 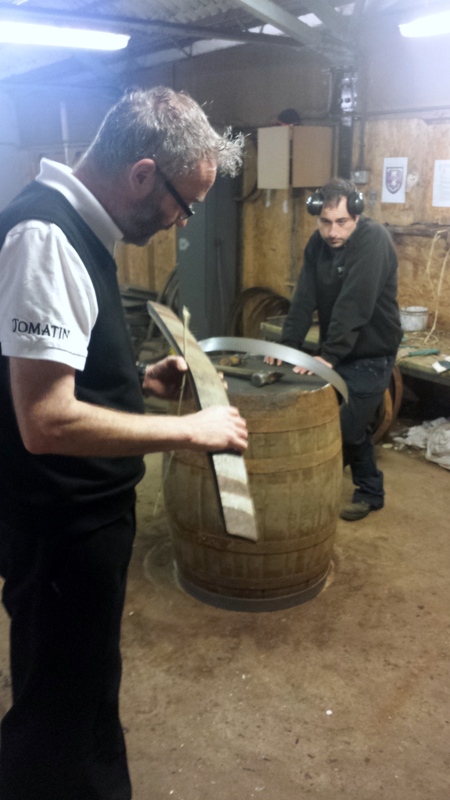 We were able to visit the workshop and see them working on constructing and repairing barrels. 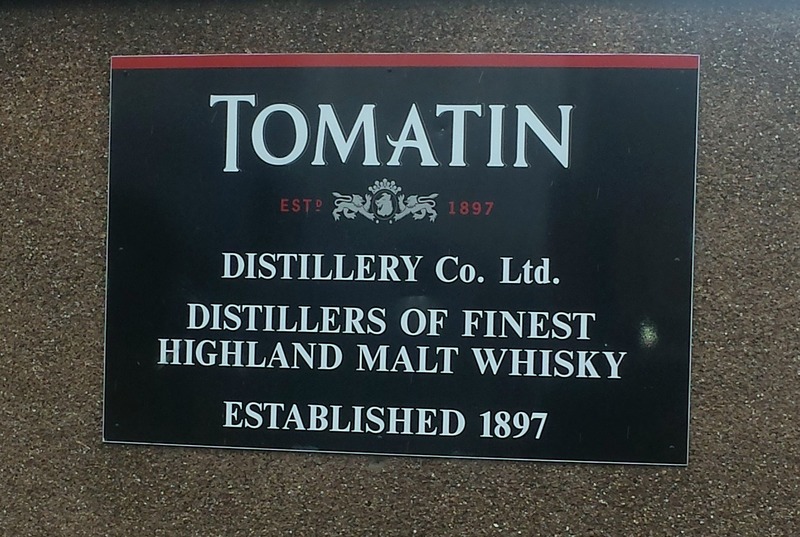 One other interesting note: Tomatin is one of the greenest distilleries. They work with a biomass plant that reduces the distillery’s energy cost and greenhouse gas emissions. 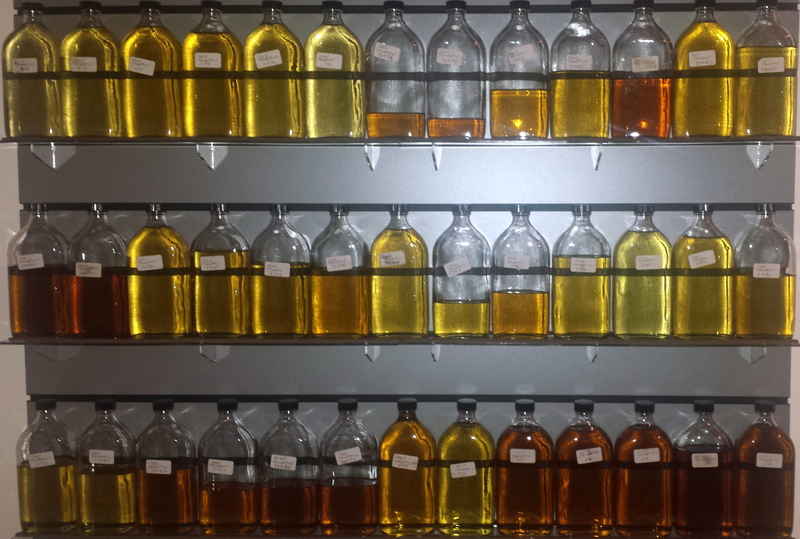 Our Taste of Tomatin Tour concluded with a tasting of 6 different whiskies. This was held in a tasting room which was nicely decorated with bottles of whisky in marked containers along the walls. The first taste was the New Make, or the spirit that gets placed into the barrel at over 60% alcohol. 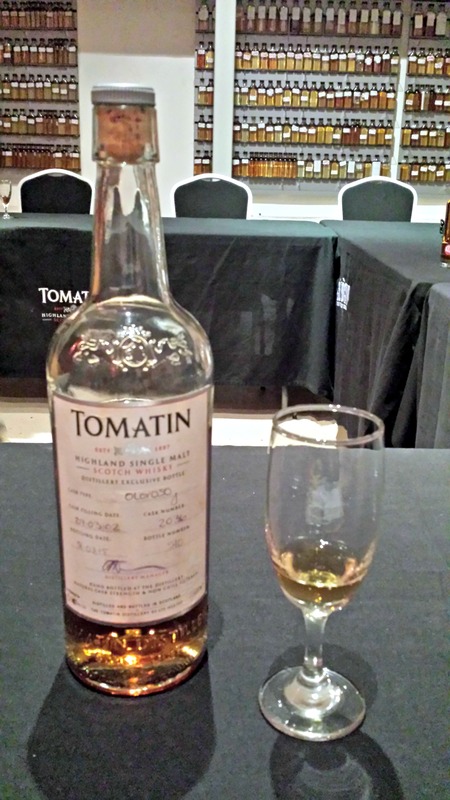 The second taste was the Tomatin Legacy, which is a non-age statement whisky but we were told it probably uses a combination of 5 to 8-year old whiskies. The third taste was the Tomatin 12-year old. Both the Legacy and the 12-year old whiskies were 43% alcohol content. The fourth, and my favorite, was the Bourbon-barrel Cask Strength whisky at 56.4% alcohol and a 12-year old aging. The fifth taste was the Sherry-barrel Cask Strength at 57% alcohol and 12 to 13-year old aging. Our last taste was the Cu Bocan (the sprectral dog) which is a peated whisky (15 ppm), non-age statement but aged approximately 8 years. Overall, it was a great tasting. 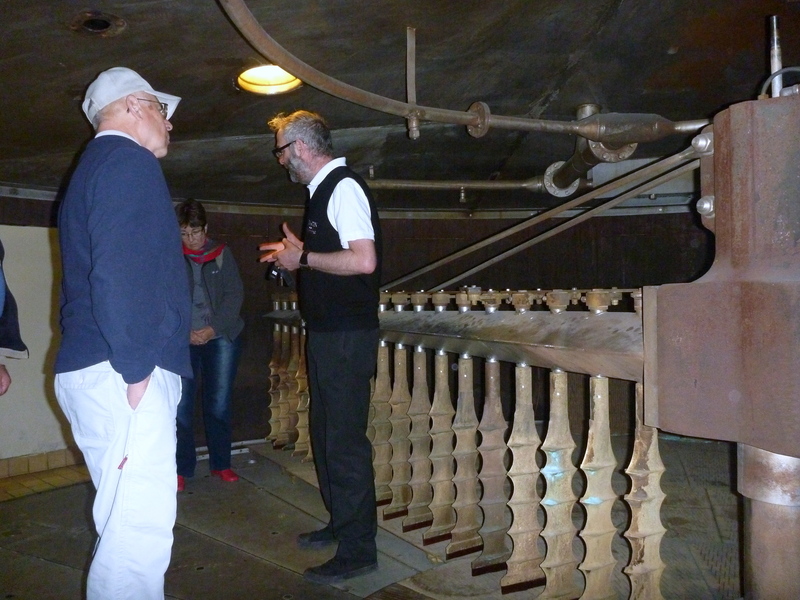 Charles’ Notes: Our Tomatin visit was extremely informative. Being a larger operation, you sometimes do not know what type of experience you will receive, but our guide provided great information and took us through their whole facility. It was a nice combination of history and the working process of this distillery. 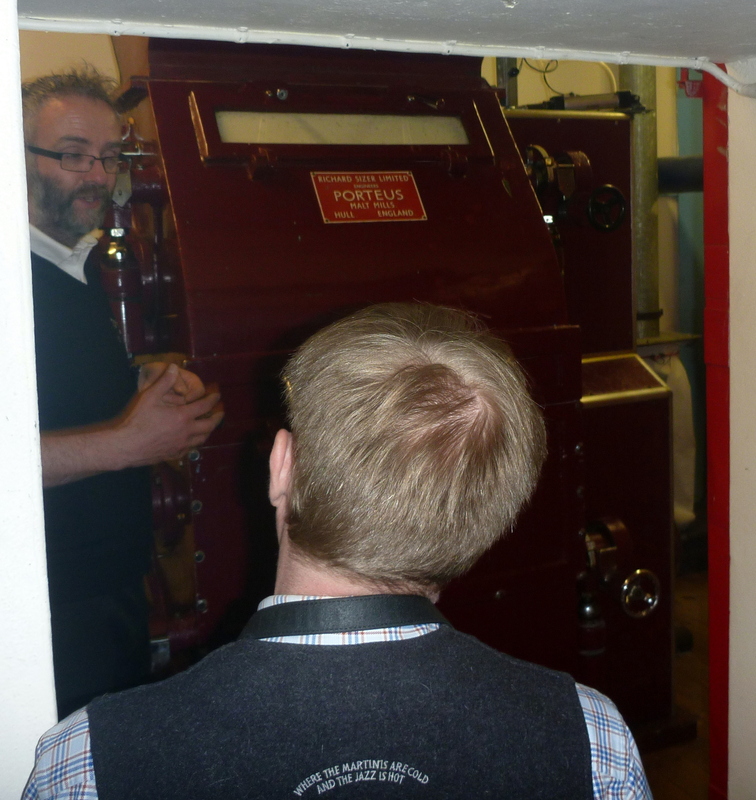 Highlights included the mash tun visit, where we could actually step up into a mash tun to feel its immense size. It was also nice to see the cooper at work and be able to ask questions directly. This is something that would be difficult to do at a cooperage where everything is on such a timed clock. The tasting was also well planned with a good selection of all of the various Tomatin whiskies. The tour and experience well exceeded my expectations.